Exterior design is an integral part of sustainable Development. Our main objective is to keep the surroundings green and sustainable without putting much pressure on the non-renewable natural resources. The major water consuming areas in the exterior environment are the landscaping areas. In this article, we are going discuss how we can use water efficiently and still have a sustainable environment which is green and pleasing to eye. Use of bio-swales and rain gardens should be done for the reduction of the stormwater runoff. Water reuse can be brought about by utilizing wetlands for the filtering of waste water. Proper selection of trees is very important as it serves as an important element in Bio-climatic Architecture which is one of important principle of Green Architecture. Trees should be selected on the basis of their purpose. For example, Shading purpose, trees acting as wind breaks. Recycling of materials should be considered as a top priority. Materials such as glass, rubber from tires should be recycled to create landscape products. 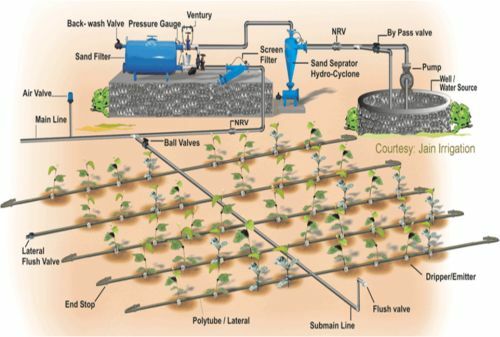 Drip Irrigation System is one of the most sophisticated and efficient irrigation system. This system involves a network of sprinklers all throughout the field. The sprinklers are positioned at the base of the plant stem. The sprinkler drip system works on the principle of Low energy. The water from the sprinklers is delivered to the root zone of the plants. The main advantage of using Drip Irrigation is that the water is delivered to the roots drop by drop and hence is water efficient. Xeriscaping is the term derived from the greek word “Xerox” which means dry. 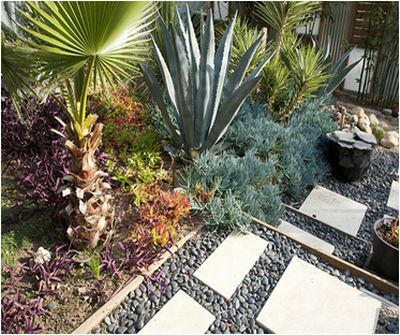 Covering the land with landscaping that utilizes very less water. The selection of plants should be such that they provide beauty and enhance the aesthetic appeal of the place as well as follow the principle of water efficiency which is our main objective. Group plants according to their water needs, so that we could decide on what type of irrigation system would suffice. 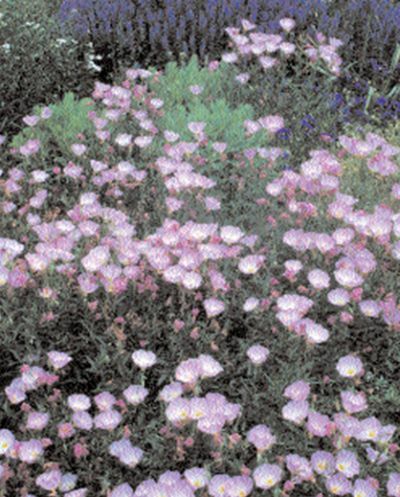 Preference for the use of native and low-water-use plants to prevent excess water usage. Limit turf areas to those needed for practical uses. Use efficient irrigation systems, for example, Drip Irrigation System. Schedule irrigation wisely to prevent wastage of water. Make sure soil is analyzed properly and is healthy. Mulching of soil is important. Regular maintenance should be carried out. This entry was posted by Benzu JK on December 4, 2010, 2:30 am and is filed under Sustainable Design. You can follow any responses to this entry through RSS 2.0. Great article! That design is ingenious. I’ve really enjoyed reading the rest of your page too! I am intrested to get information of basic design critaria of sustainable architecture. You could take up a topic on “Prefab constructions”. It is a wonderful topic. You will get to learn a lot of new things.